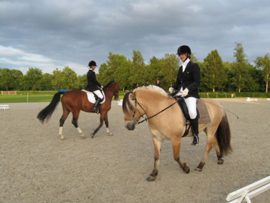 Caballos de la Luz breeds quality Pura Raza Espanolas (Andalusians) in the heart of Ruhr area in Northern Germany. 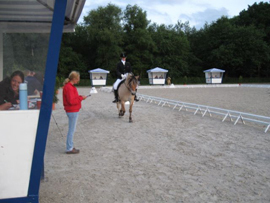 "The Flexible Master width 3 is used on all our young horses. It's perfect for them as they grow and change all the time. 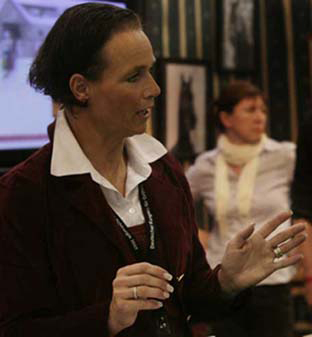 The Master adapts and fits like a glove", says Simone Lienert, the owner of about 40 magnificent Pura Raza Espanolas. Hosco XXI is an embodiment of the magic of Pura Raza Espanolas. Flexible Master tested by Sjolvir – "Very impressed!" 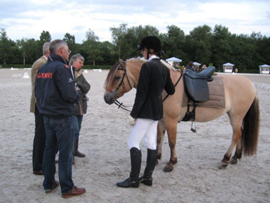 At www.buitenzinnig.nl they had more nice things, a new flexible saddle that looked like a normal dressage saddle. I could borrow it on Friday. Comfortably soft and flexible on all sides. 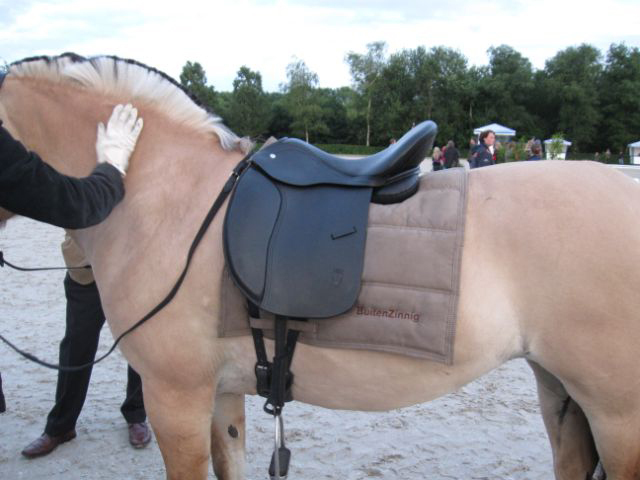 It fitted my horse Sjolvir perfectly, but, oops, it was a 17” and I need an 18”. 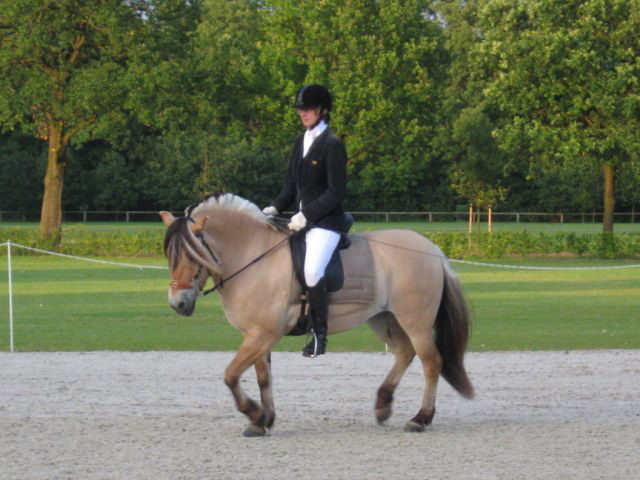 It felt delightful and you can sense the movement of your horse perfectly, you do have to get used to it though. 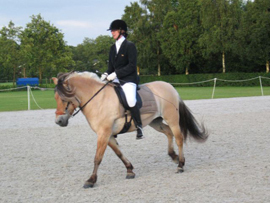 What is handy for many short-backed horses (and many Fjords are) are the comparatively short panels.